Maryland is known for its crab cakes, but also its inventive recipes utilizing crab in other ways. One of my favorites is Crab Dip Stuffed Artichoke Hearts. 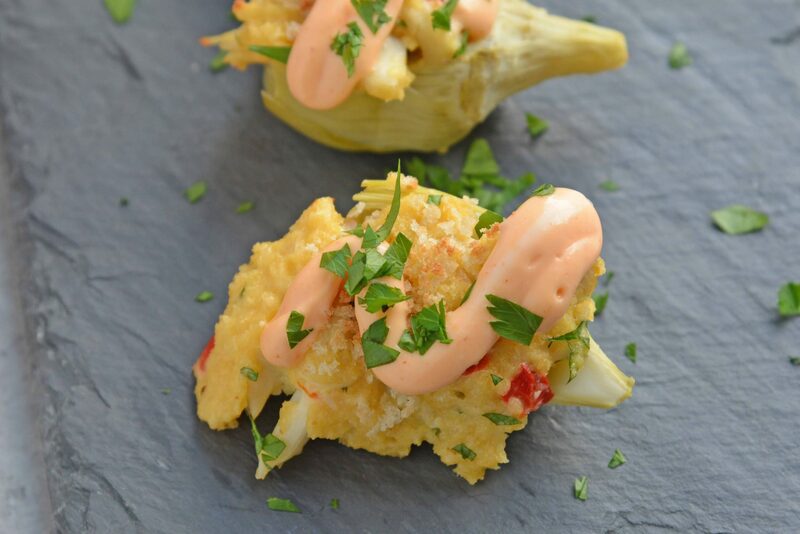 Crab Dip Stuffed Artichoke Hearts takes traditional hot crab dip and bakes in an artichoke heart, topping it with crunchy panko and Sriracha Aioli. 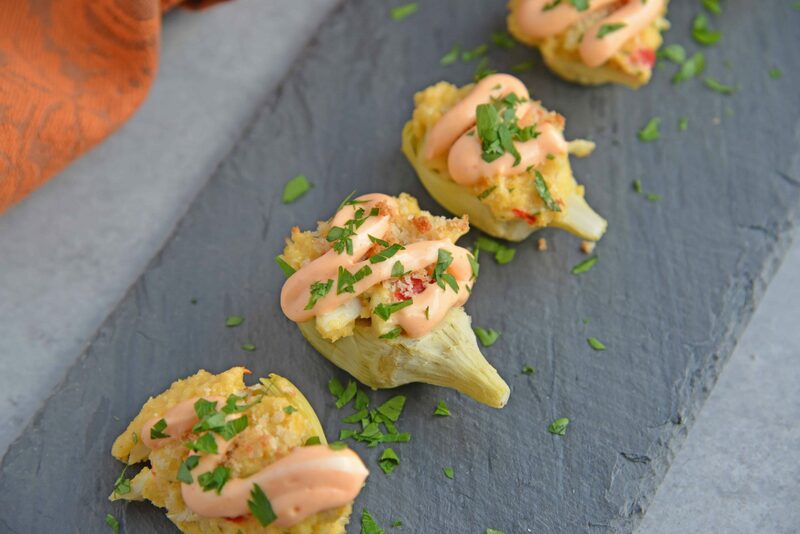 Crab Dip Stuffed Artichoke Hearts are almost like a crab cake inside of an artichoke heart. 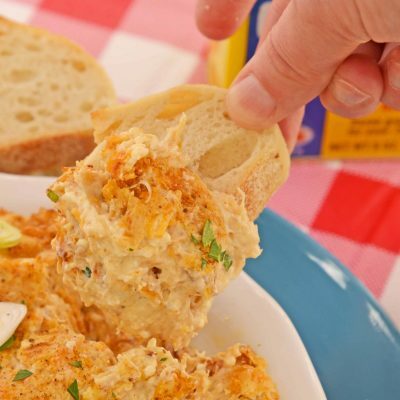 The hot crab dip filling takes only minutes to prepare and uses a small amount of less expensive crab, as to not break the bank. If you are in a state that does have fresh blue crab readily available, you can substitute with imitation crab, snow or stone, but the flavor and texture will not be the same. Still good, but not the same, sadly. Crab Dip Stuffed Artichoke Hearts can be made ahead and then baked before serving. A dot of spicy Sriracha aioli gives each bite an extra edge against the sweet crab meat while adding color. A sprinkling of panko elevates the texture profile for a simple, yet sophisticated hors d’oeuvre perfect for holiday parties. 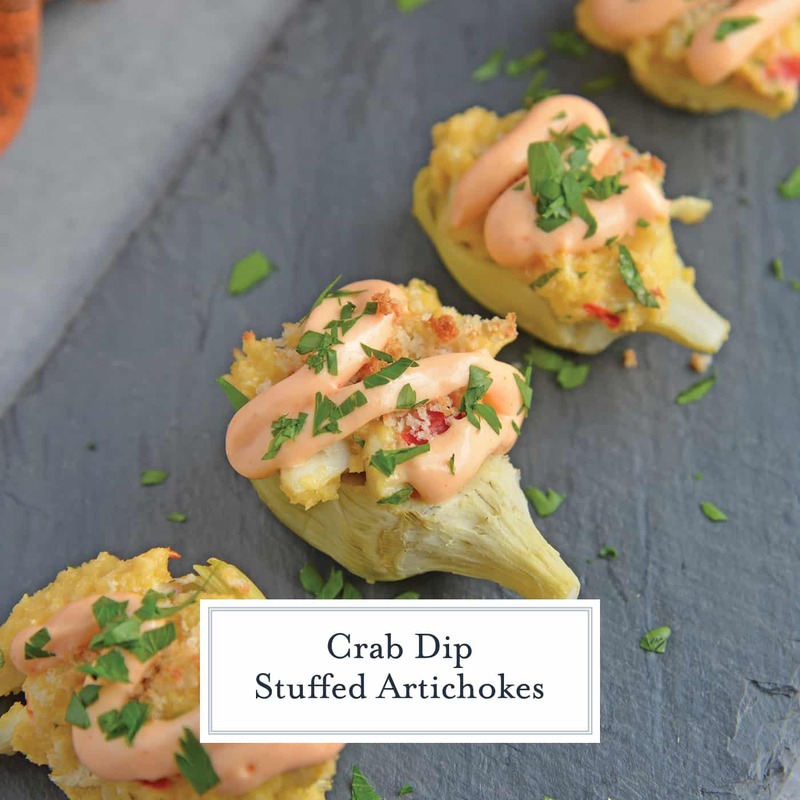 I do love artichokes (and crab dip) so I am always trying to look for new ways to use them. Did you know that the artichoke is technically a flowering fruit, not a vegetable. It is a common mistake. It is a thistle and if you’ve ever eaten the artichoke leaves (it is actually more of a sucking and teething off of the pulp) you’ll understand. Only the center, the artichoke hearts, is wholly edible and still you might get a few tough pieces. Preheat oven to 350 degrees. Drain artichoke hearts and cut in half. Drain, cut side down, on a paper towel lined baking sheet. Remove paper towels and flip artichoke hearts over (cut side up) and place in oven for 3-4 minutes. This will dry them out and allow the crab stuffing to stick. An alternative would be to cut the artichokes and allow them to dry out in the refrigerator for several hours prior to stuffing. 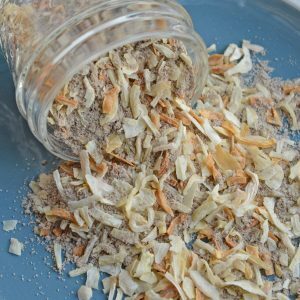 Using your hands, lightly toss together crab meat through Parmesan cheese. Be mindful to not stir and break apart larger pieces of crab meat. Stuff the center of each artichoke heart with a heaping spoonful of crab mix. Top each with a small sprinkle of panko bread crumbs. Bake for 10-12 minutes, or until tops are lightly browned. While crab stuffed artichoke hearts are baking, mix together Sriracha aioli ingredients in a small bowl. Transfer to a small plastic bag. When ready to serve, cut a small hole in one corner and pipe a pearl size portion on to the top of each crab stuffed artichoke heart. 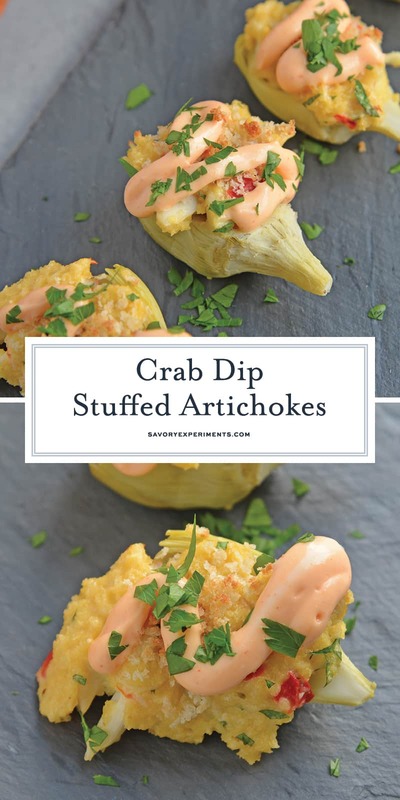 I love crab dip and I love artichokes but I have never thought to put them together! 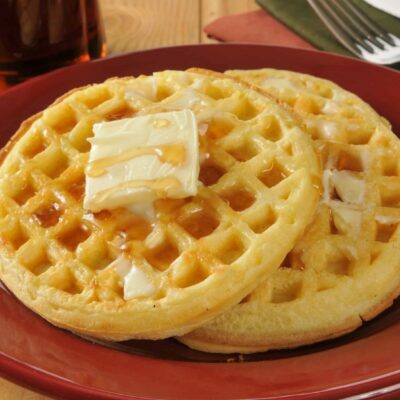 LOVE the look of this appetizer….yum! What a delicious appetizer or little bite, love the combination of the artichoke hearts with the crab. 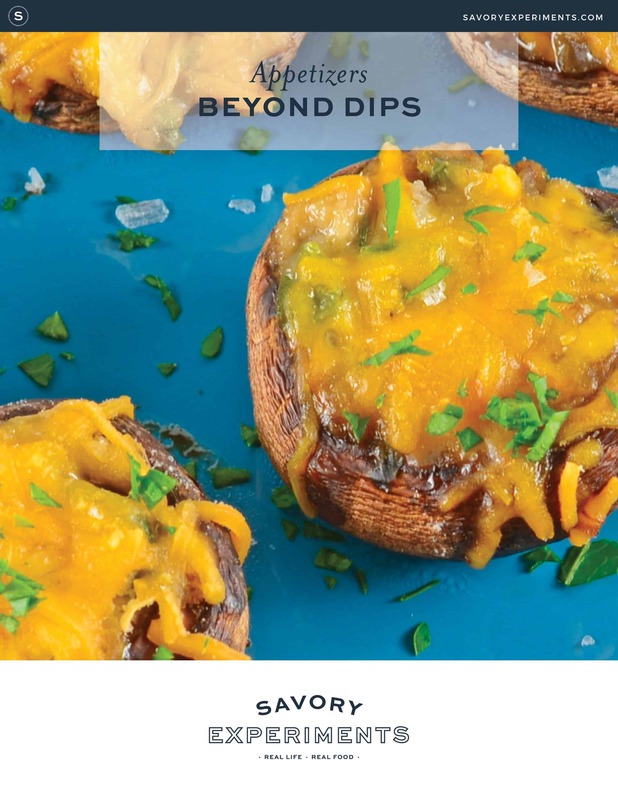 I have an unlimited and unconditional love for anything and everything crab, and these little bites of deliciousness are totally up my alley! This looks absolutely heavenly Jessica! Crab and artichokes are two of favorites! What a fabulous presentation! I love these! 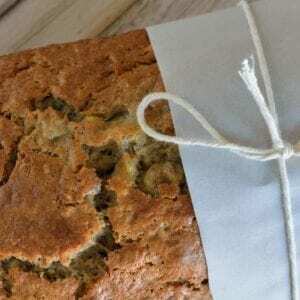 I love that these can be made ahead! That’s always such a bonus. I’ve never actually had an artichoke and I’m thinking it’s time to change that! I’m pinning this right now! I love crab cakes but I have a feeling that these stuffed artichoke hearts are going to be my new obsession! What a great idea! I bet these would be a big hit during the holidays! . 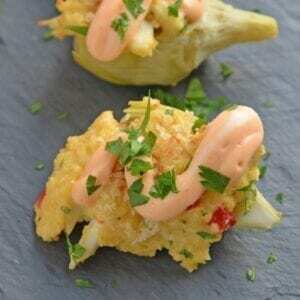 Those look yummy — would you recommend making them with canned crab? Sure! In fact I used a pasteurized canned crab for these.